For placement in construction sites, manufacturing facilities, workstations, and any other area where eye protection is a must-have. An easy way to increase safety awareness and to help prevent accidents. 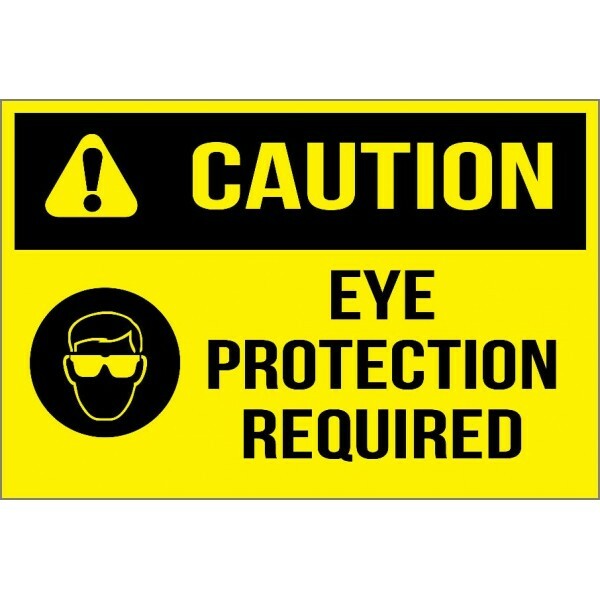 Your employees only have one set of eyes, make sure they are protected. Reminds workers to wear hard hats to prevent injuries and increase safety in areas where overhead ..
Increases awareness of harmful poisons, which can cause acute and chronic illness. 3 size op..